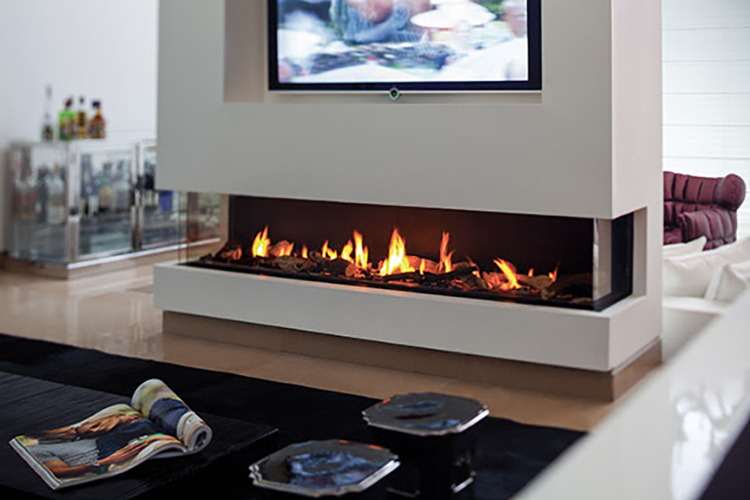 Ortal has been the world’s premier designer and manufacturer of high-quality contemporary frameless gas fireplaces for 30 years. Architecturally, Ortal’s frameless fireplaces are used to create and enhance definition within a space; along a wall, curved around a wall, dividing a room and even to define indoor/outdoor spaces. The beauty of these fireplaces is matched by Ortal’s meticulous attention to detail and the brand’s exclusive fire technologies such as their Cool Wall technology, which enables objects to be hung nearby without fearing they will be damaged in any way. 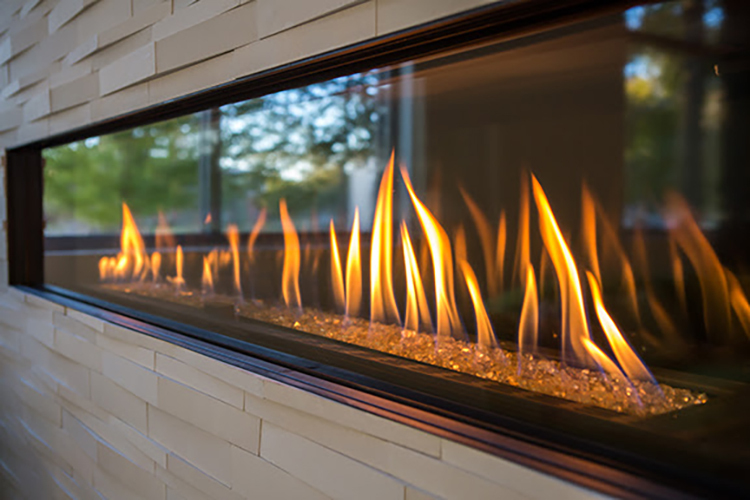 Ortal’s fireplaces are engineered for maximum enjoyment and safety, utilizing their unique burner design for the cleanest possible use of gas, double-glass heat barriers and direct vent system. FRONT FACING | Beautifully integrated into walls and architectural elements, Ortal’s front-facing fireplaces make this classic positioning extraordinary. 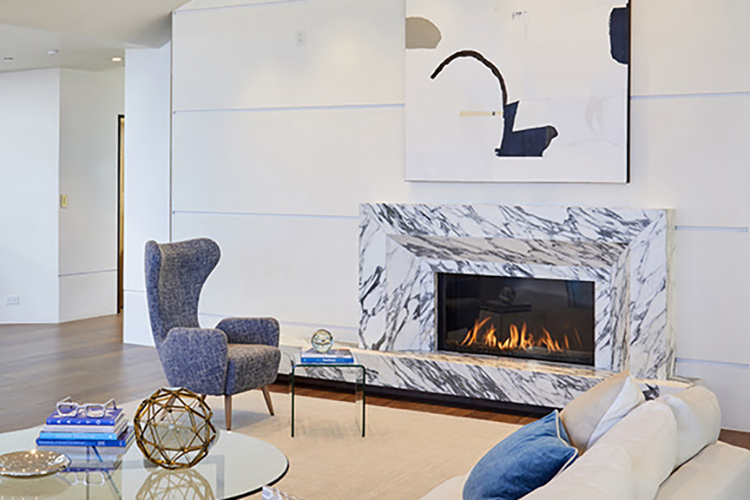 Perfect for when the owner wants to combine the classic charm of a front-facing fireplace with the revolutionary performance of Ortal’s modern gas fireplaces, which provide heat to the room while remaining safe to the touch and cool enough for surrounding decor. CORNER | Wide or narrow, cozy or imposing, left-side or right-side corner fireplaces are ideal and flexible architectural solutions that bring focus to any space. The modern luxury of a direct vent fireplace equipped with Ortal’s revolutionary cooling technology keeps the surrounding temperature down while retaining the heat-producing properties of a traditional fireplace. 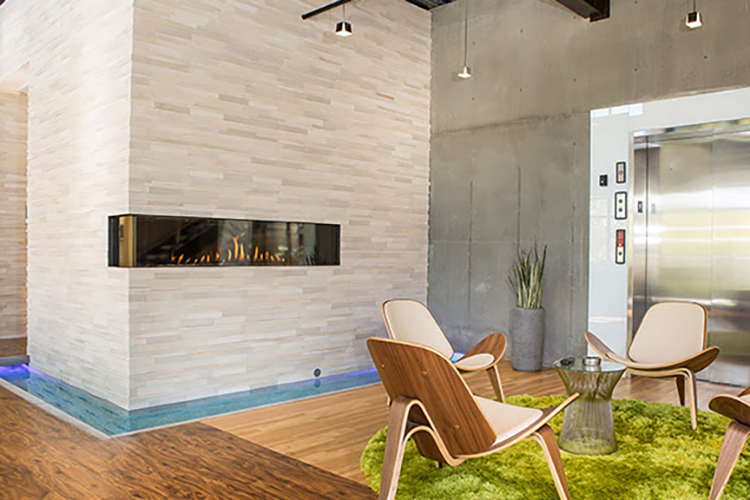 THREE-SIDED | Ortal’s built-in contemporary three-sided fireplaces are architecturally stunning. These unique fireplaces provide a clear view from multiple vantage points. As with Ortal’s other contemporary collections, three-sided models feature endless design possibilities, like Ortal’s new granite interior, retaining an authentic and broad appeal. INDOOR/OUTDOOR | Indoor/outdoor fireplaces are the perfect bridge solution; offering both an exterior and indoor setting to create a stunning, three-dimensional tableau. Doubling its functionality and extending its impact, the indoor/outdoor fireplace is Ortal’s most creative model; boasting an element of luxury living for users who appreciate its design and flexibility. 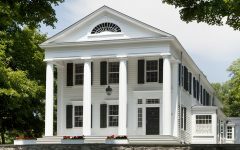 The strong, exterior glass of the fireplace protects the home from outside elements like winds and condensation, while providing an efficient heating system to warm an indoor space. 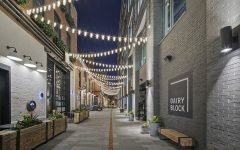 To help bring artistic design visions to life, Ortal offers a variety of fire media options, facing materials and interior lighting options.